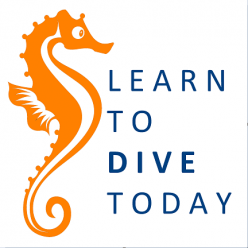 Saturday & Sunday: Deciding the day before whether conditions will permit a dive or two! There has been a south south westerly swell over the last two days. False Bay does not like the southerly component, and prefers a westerly swell. The weather sites also can’t agree on the wind direction, and resolving the variation in the forecasts is fairly crucial to determining whether False Bay will be diveable. This doesn’t mean its all doom and gloom. It means we will decide by 4.00 pm on Friday afternoon if we are launching on Saturday, and the same applies for Sunday. If you’d like to be on said launches, let me know and I’ll keep you informed. This week seems like a good time to dust off our protocol for diving with sevengill cowsharks. Let me just say that we didn’t have to use any imagination to come up with some of the things in the code. On Wednesday 30 August, Nick Sloane, the South African salvage master who orchestrated the parbuckling of the Costa Concordia cruise ship wreck, is speaking at the Iziko South African Museum at 6 pm. He is a world-class salvor and it’s a fairly rare opportunity to hear him speak. Tickets are R30 if you’re not a friend of the museum (in the formal sense). 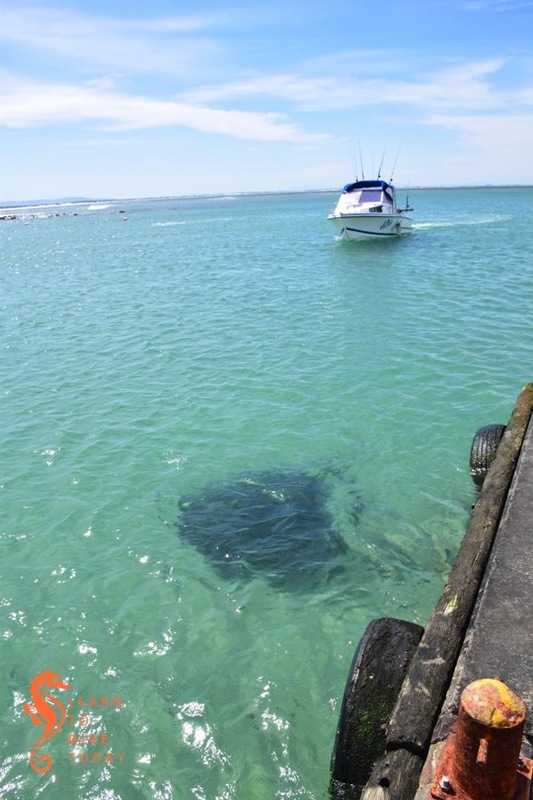 Struisbaai harbour is home to at least two resident giant short-tail stingrays (Dasyatis brevicaudata). The rays are habituated to the sound of the returning fishing boats’ engines, and come out to investigate whether there are any scraps to be had. We were at the harbour long after the fishing boats had left (and perhaps returned already), and it was quiet, but a sport fishing boat returned while we were there and we saw two large, tell-tale black spots moving across the sandy harbour bottom towards the slip. Tony stuck his pole camera into the water and got this footage, which is quite lovely. The rays will approach humans on the slipway, but I think some kind of fishy treat (tinned sardines?) is required to get them to come this close. We didn’t give them anything, so they checked out the camera and were on their way. 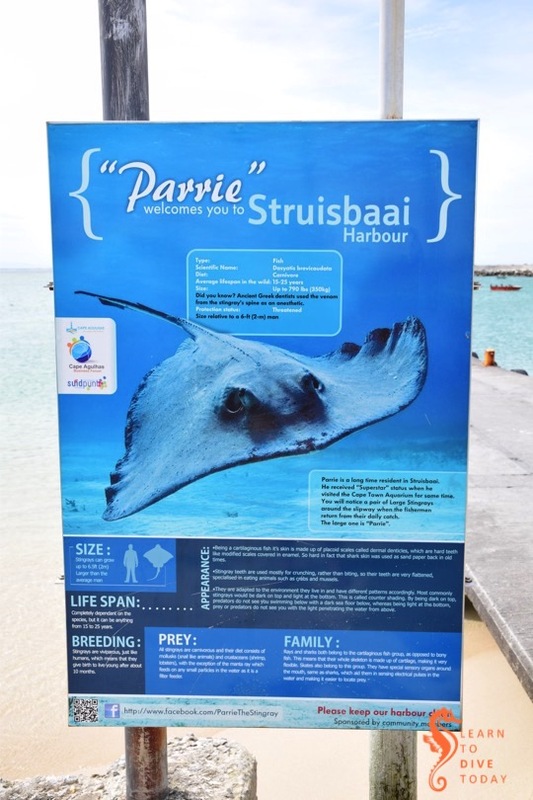 One of the rays that lives at the harbour – the largest one – is called Parrie (possibly short for Paris?). Parrie was, according to legend (I cannot verify this with a reliable source), once captured by the Two Oceans Aquarium team and lived in one of their exhibits for a short while. Intense pressure from the Struisbaai community led to his return to the wilds of Struisbaai harbour. You can see a picture of Tony filming the rays from the jetty in the newsletter he sent out when we got home from the trip. 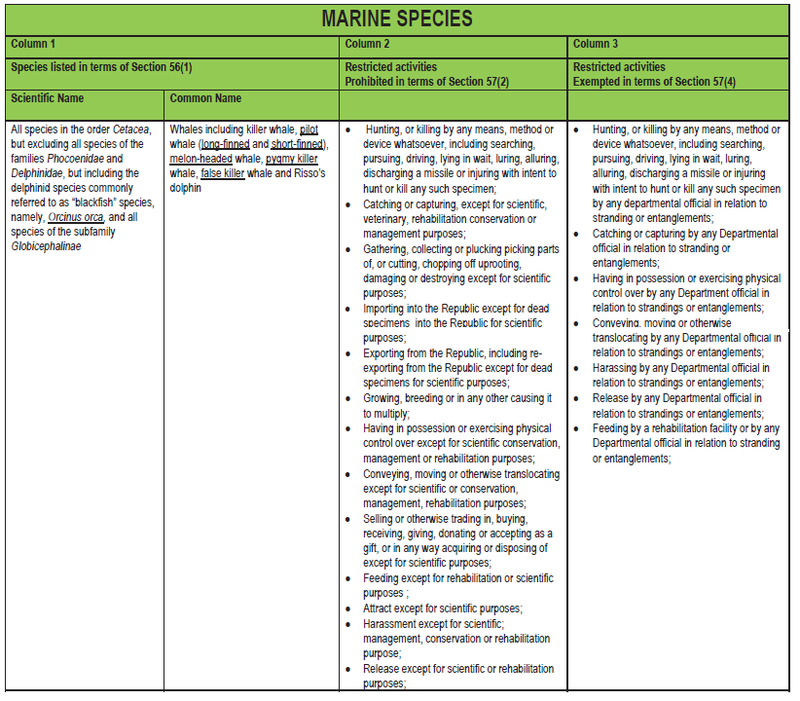 Proposed changes to the National Environmental Management: Biodiversity Act (no. 10 of 2004) will limit scuba divers’ and snorkelers access to Cape fur seal colonies. The proposal was brought to our attention by Georgina Jones (for which we thank her!). Unfortunately the timeline for comments is extremely limited: we must submit written responses to the proposal by 30 April, which is this coming Thursday. 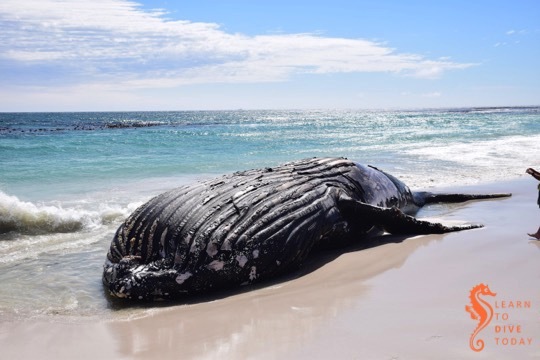 The primary change that will affect us as scuba divers and snorkelers is that we will no longer be allowed within 30 metres of a Cape fur seal colony. This will mean that we cannot approach the colonies at Duiker Island in Hout Bay and at Partridge Point in False Bay. Furthermore, it may mean that we cannot even drive the boat through the gap between Duiker Island and the mainland. Boat routing around the Partridge Point colony will also be affected. 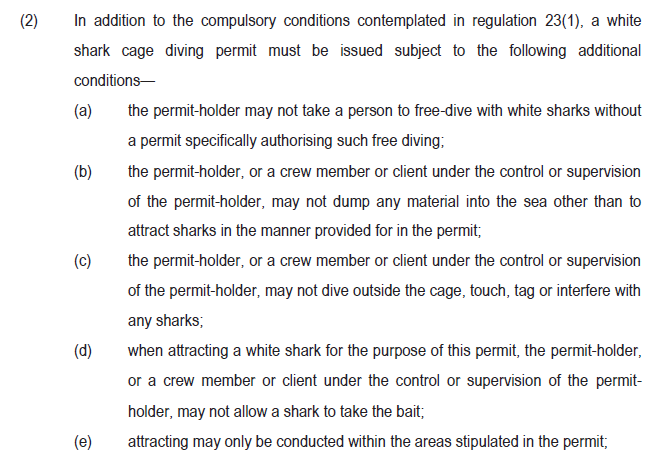 Fortunately we don’t do any recreational diving around Seal Island in False Bay, so we don’t need to worry about that! The Government Gazette outlining the changes is long (288 pages) and you can download it in its entirety here, but I have snipped out the relevant sections. 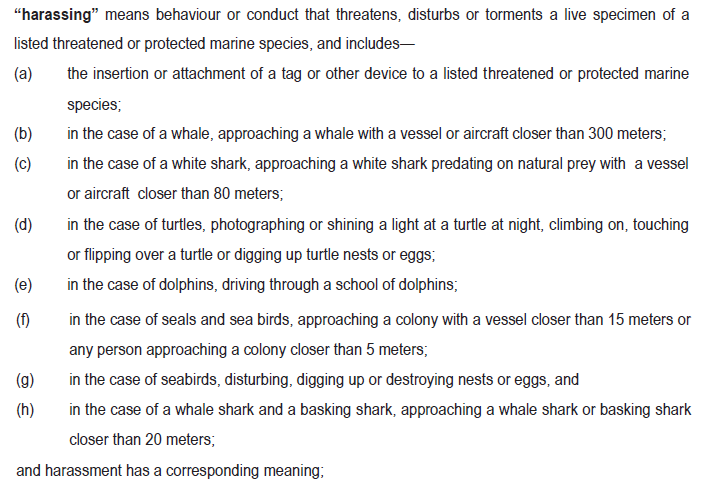 The first is the definition of “harrassment” from page 88, which in point (f) relates to all seal species and states that one may not “approach a colony closer than 30 metres”. 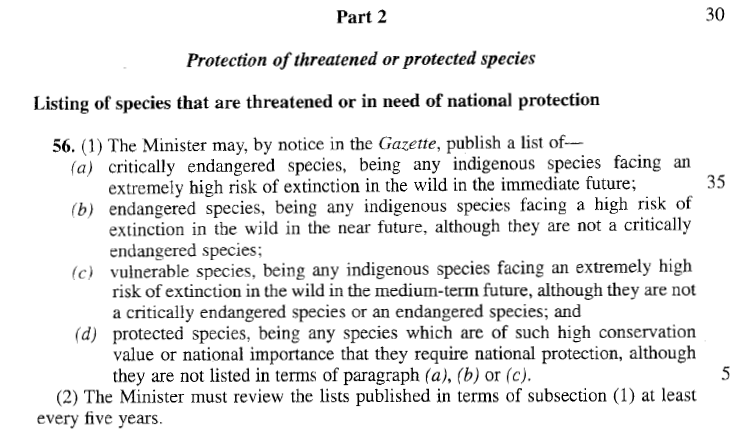 The second relevant section is on pages 260-261 as they specifically apply to Cape fur seals. 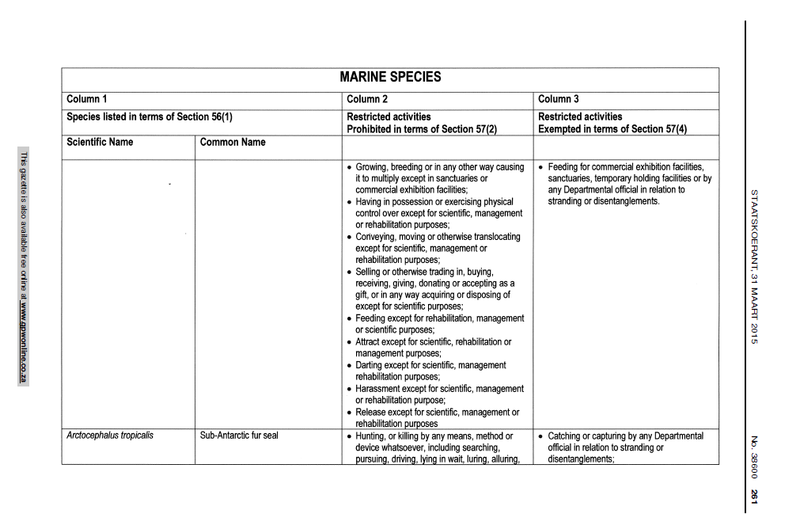 Note that the second last bullet point (on the second page, page 261) prohibits “harassment” of seals, which is defined above. Due to their large population sizes, the global Cape Fur Seal (Afro-Australian Fur Seal) population appears to be healthy, and the subspecies should both therefore be classified as Least Concern (LC). 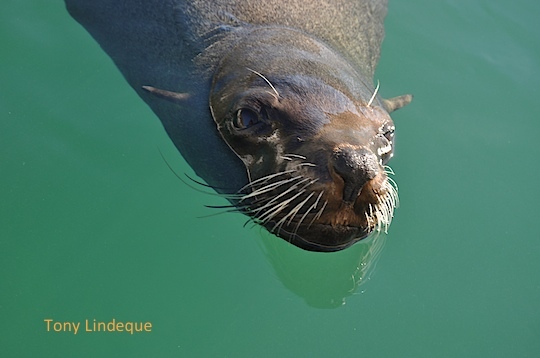 The best place to encounter Cape fur seals is in proximity to a breeding colony (such as Duiker Island in Hout Bay) or haul out spot (such as Partridge Point in False Bay). 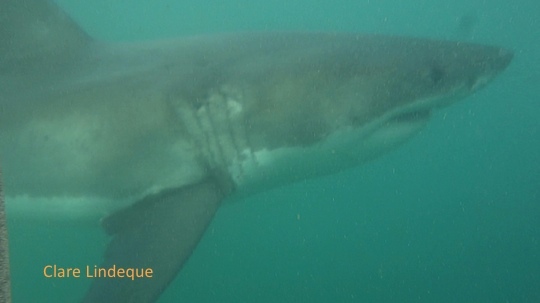 The largest breeding colony is Seal Island in False Bay, and recreational diving and snorkeling is off limits there owing to the white shark population that feeds there, primarily in winter. Restricting access to 30 metre wide areas around these colonies will not improve the lot of the seal populations in any way. Fishermen frequently have an adversarial relationship with seals (Shaughnessy & Kirkwood). Allowing scuba divers and snorkelers to approach seal colonies in the water enables them to observe any abuses that may be perpetrated on the seals by water users who do not appreciate the seals’ presence. It also provides a means for monitoring and reporting the impact of plastic pollution on the animals, which may be significant. Loops of plastic from bait boxes, shopping bags and from six packs of canned drinks pose a risk to these curious mammals, who get their heads or flippers stuck inside the plastic loops. This causes slow and painful damage to the animals as they grow. There is no indication that activity by snorkelers and scuba divers causes the seals any distress or leads to harmful behaviour modification that could impact individual seals’ chances of survival (Kirkwood et al 2003). Seals are curious and friendly, and frequently and willingly approach people in the water in order to interact. If conducted sensitively, trips allowing visitors to experience Cape fur seals have great conservation value, not only encouraging awareness of seal conservation issues, but also of species that prey on and are preyed upon by seals, and of issues of plastic pollution in the marine environment. The monetary value of Cape fur seals as a tourism resource is also significant and contributes to South Africa’s tourism sector. In addition to snorkeling and scuba diving trips, run by a number of operators, there are seal viewing boats (which sometimes pose a significant danger to snorkelers and divers in the water, but that’s another story…) operating out of Hout Bay, which bring thousands of visitors, mostly tourists, to see the colonies each year. As both Duiker Island and Partridge Point are located close to shore, restricting boat movements around them may force watermen to use less safe routes up and down the coastline, and force them further out to sea than they would otherwise choose to venture in order to avoid the seals. A more impactful (sorry, hate that word) way to protect seals from perceived harrassment would be to enforce a Code of Conduct for seal tourism operators. This would prohibit landing of people on a seal colony by tourist operators. 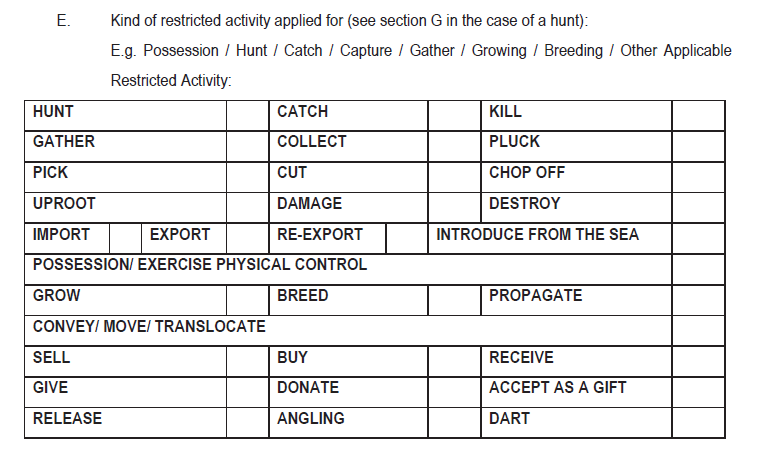 The use of toys such as bits of rope to attract seals in the water should also be prohibited. Teaching seals to identify human manufactured materials as playthings will only lead to more entanglement of young animals in plastic waste. Strict boat speed limits should be enforced around seal colonies and haul out spots. Finally, no bait or chum should be permitted to be used by operators, even if it is kept on the boat and trickled over the side or held inside a glove and not given to the seals. 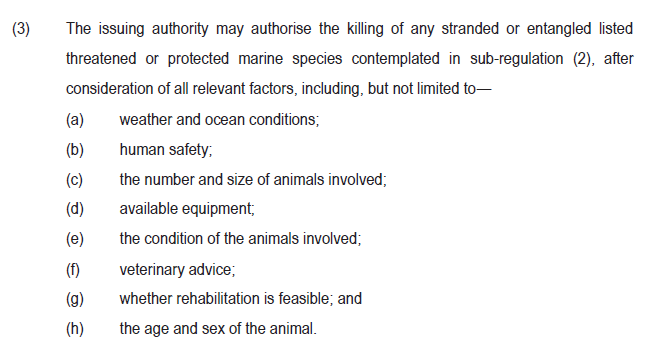 If you enjoy snorkeling and diving with seals and want to be able to share that with friends and family in the future, or have a business that profits from seal trips, or if you like to win photography competitions with pictures of seals chomping at your dome port, this means you have a vested interest in the legislation that has been proposed. 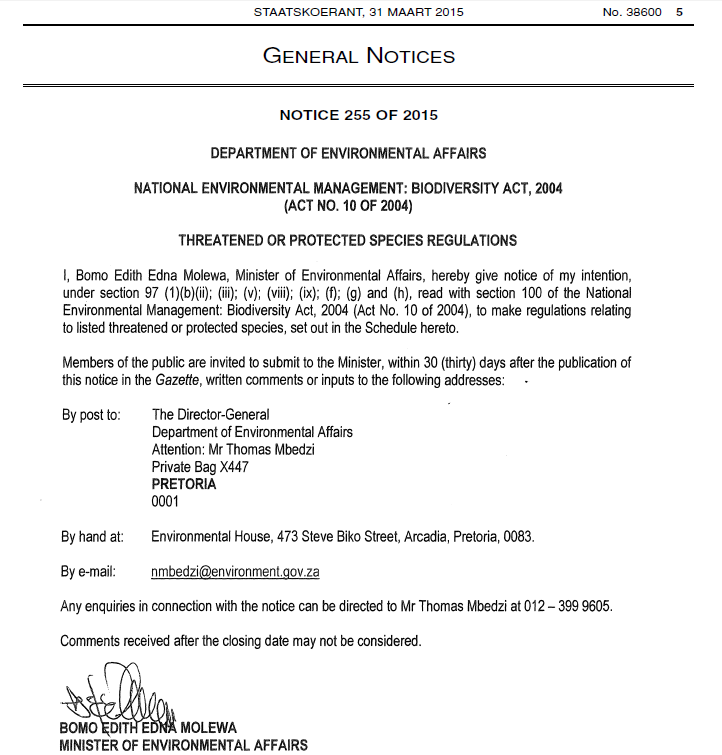 The quickest way to comment is to send an email to nmbedzi@environment.gov.za with your comments or objections. Feel free to use any or all of the ones we have listed above. Please do this now! 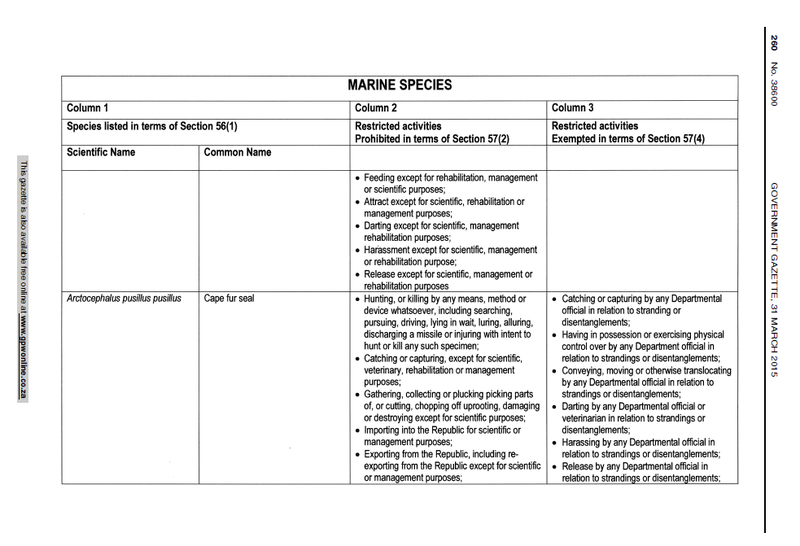 Operators who do white shark trips and turtle nesting tours in Sodwana should also consult the proposed changes carefully, because they may impact their operations as well. Have you tried this? It’s an art, but if you do it gently you can remove the entire shell of a raw egg without the white and yolk coming apart. The water pressure holds the contents of the egg intact. South African eggs have really hard, thick shells – I learned this from watching British cooking shows on television – so it’s a delicate procedure to strike the egg hard enough to crack the shell, but not so hard that you splatter the contents everywhere. Having witnessed it, I can also add that smashing the egg on your buddy’s head will not have the desired effect. 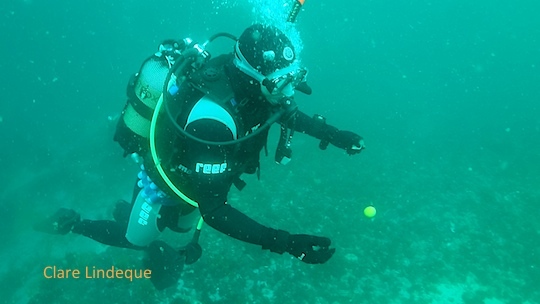 Here are Brian and Esti playing with eggs during their Advanced course at Outer Photographer’s Reef. Whether you manage to crack your egg perfectly or not, a passing fish will be very grateful for the meal. Does this count as chumming? The opportunity to see great white sharks safely, on your own terms (that is, not by surprise while diving! ), and in a way that isn’t harming the sharks or affecting their behaviour on a large scale, is amazing and unusual one. Living in Cape Town, South Africa, we are more fortunate than most people in having three excellent cage diving operations (Apex Predators, African Shark Eco-Charters, and Shark Explorers) on our doorstep in False Bay, and – for the summer months, when the False Bay season closes down – Gansbaai just a two hour drive away. I have visited Seal Island on board the Shark Spotters research boat, but that wasn’t for getting in the water with the sharks – the scienfic data is collected from the surface (I watched – more here, here and here), but Tony has never been. Tony and I have tried to go together to visit the sharks at Seal Island on two occasions before. Once, the conditions were too poor so we ended up in Gansbaai (more on that here), and the second time we planned an overseas trip and had to cancel our cage diving booking. The operators can get booked up very far in advance during peak season, which is when we wanted to go, which is why the overseas travel ended up overlapping with the cage diving trip. Third time lucky! Two of Tony’s former students, Tamsyn and Gary, work for African Shark Eco-Charters, Tamsyn taking bookings and Gary as Divemaster on the boat. We booked a trip with them for late July, which is during the best period to see white sharks at Seal Island. We were excited to be able to breathe off scuba regulators while in the cage, and this turned out to be a wonderful thing because it was a very rough day (big swell, wind – and rain!) when we ventured out. The Stugeron that Bernita and I had ingested did its wonderful work. Here’s a video clip of some of what we saw while in the cage. I’ve slowed this video down to 35% of the actual speed, because it’s really bumpy – the cage was like a washing machine! Trying to snorkel would have been unpleasant. The shark in the video is a female white shark (she has no claspers – she obligingly shows us her big belly), and she was huge. It was lovely to have Bernita with us, and absolutely amazing to see our False Bay sharks up close. They are magnificent, remarkable animals worthy of our protection. 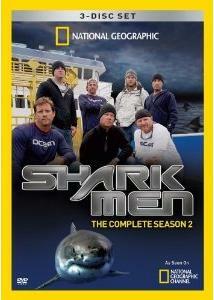 Season 2 of Shark Men is more of the same as Season 1 – shouting, HOO-HAAing, chest slapping, and manly bleating. It’s not all complete, unmitigated suffering for the patient viewer, however. There is less focus on the manly art of extreme angling than there is in Season 1, which was a welcome relief. The first two episodes are filmed at the Farallon Islands, a location off California that swarms with white sharks, and with which Tony and I are familiar from reading The Devil’s Teeth (recommended, with reservations). The team has a permit to capture and tag white sharks there, the first time anyone has been allowed to do this kind of work at the Farallons. Not everything goes according to plan, and the team’s research permit is suspended. Attempting to tease out the entire life cycle of the southern Pacific white shark population, the Ocearch vessel drops anchor off Malibu in southern California. There they fish for juvenile white sharks, in view of the busy beaches. Surfers and swimmers are largely unaware that they are sharing the water with a white shark nursery. The researchers also return to Guadalupe Island off Mexico, and capture and tag more sharks there. The final few episodes of this season are the most fascinating – a trip is made to the Sea of Cortez, a squid-rich ecosystem teeming with terrifying Humboldt squid, pods of sperm whales, and other cetaceans. There is a long history of white sharks of various sizes being caught in the area, which makes the researchers suspect that it is a pupping area. It is, however, a popular long lining location, which puts the white sharks in danger of being caught by fishermen. This season of the show was dogged by controversy. The Farallon Islands permit revocation was of serious concern, and repercussions were felt long after filming completed. A shark known as Junior (or Lucky) was badly hooked and spent a long time out of the water on the Farallon Islands trip while the team attempted to remove the hook from deep in his throat. The shark was later filmed with a terrible injury to the side of his face. The Ocearch team were subsequently exonerated from any blame for the wounds, as Junior’s injuries were from another shark (and sharks bite each other frequently and indiscriminately). There’s an interview with Chris Fischer and Brett McBride about this season of the show, here. Episode guide here. Get the series here, otherwise try here or here. You may have trouble getting them shipped to South Africa. After the controversy, drama, self examination, and ultimately very interesting research that came out of the Ocearch expedition to South Africa early in 2012, we had to watch the television show that made Chris Fischer (amongst others) famous for working with white sharks. 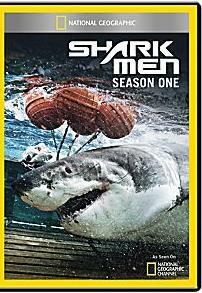 Enter Shark Men, a National Geographic series featuring television personality Chris Fischer (who had something to do with getting the funding, or the boat, or both – try to disentangle it here if you’re so inclined) and Dr Michael Domeier, a respected white shark researcher. The researchers fish for white sharks off Guadalupe Island in Mexico, and then lift them out of the water in a specially modified cradle attached to the Ocearch boat. Water is pushed across the shark’s gills while they’re out of the ocean. The team measure and tag the sharks, and take samples for genetic testing. The sharks are released after 15-20 minutes out of the water. The Ocearch boat also makes a trip to the Shared Offshore Foraging Area, or SOFA, where white sharks are believed to feed. A (giant) squid-rich ecosystem inhabited by sperm whales is found, and Domeier theorises that the sharks subsist on squid while they’re here. I found the two episodes covering the SOFA trip to be fascinating. There’s nothing special demarcating this piece of ocean – just the patterns made by the migrating white sharks, which show evidence that the sharks move between Guadalupe and the SOFA. Domeier believes that their time at Guadalupe is for breeding, and aims to take sperm samples from mature males to verify this theory. The science is very interesting. During the course of the filming a couple of improvements in the handling of the sharks is made, of which I approved. There is magnificent footage of huge white sharks in crystal clear water. Unfortunately there is also a lot of testosterone-fuelled shouting, posturing, and remarkably inane commentary from a variety of sources. By the end of the series we wanted to watch with the sound off, it was that bad. The only person who comes off well at the end of it all is the captain of the Ocearch vessel and chief angler, Brett McBride, and it seems to be largely because he shuns the limelight and doesn’t say much. I hate sport fishing. I think it’s pathetic that humans need to prove their mastery of the natural world by shooting or fishing the earth’s most amazingly put together predators. This show is mostly about fishing, and so I found it mostly repugnant. I understand that good television wouldn’t be the expected result from a quiet, respectful treatment of the shark while it’s being brought to the cradle – which leads me to question whether I think that something like this should be televised at all. If you want the DVDs, get them here. They’ll only ship to the US, so make a plan (mine involved a friend, and a plane). Episode list here. I’m going to go out on a limb here and say that this is the worst movie ever made. I don’t think a worse movie could be made; I’m willing to make this prediction even if the human race continues making movies in their current form until the end of civilisation. The fact that this is an appalling film shouldn’t put you off seeing it if you live in Cape Town, however. If you’re a Halle Berry fan, you will probably also be interested in this offering, and your enjoyment will probably be enhanced by viewing the film with the sound turned off. 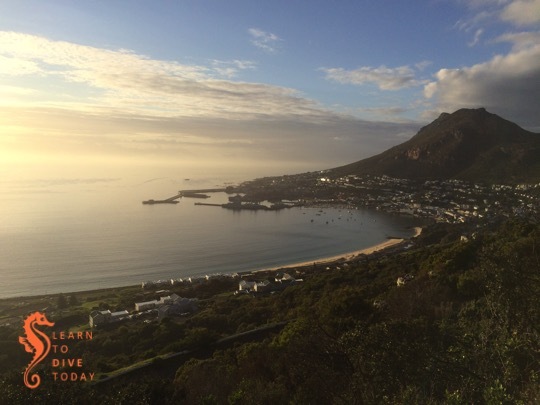 The movie was filmed a couple of years ago in Simon’s Town (False Bay Yacht Club, Bertha’s restaurant, and the jetty outside Bertha’s all feature) and False Bay. There is brief footage at (I think – it’s dark) Miller’s Point, Boulders Beach, and a fair amount shot at Seal Island. 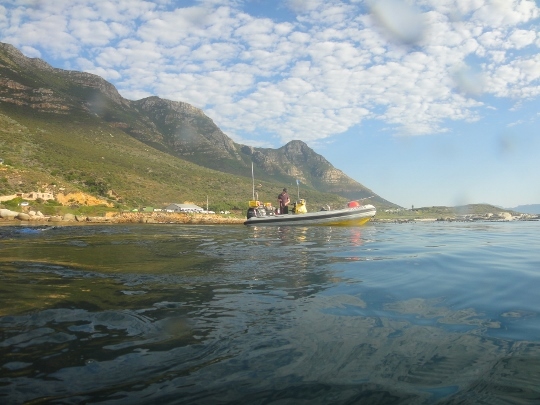 The underwater footage looked like it was shot in a kelp forest off Duiker Island in Hout Bay. Lots of seals. There was a lot of kelp – more than I remember there being at Seal Rock near Partridge Point. It could also have been shot at Seal Island (where it purports to be) in summer, but the water is quite clean which makes me unsure. There are about six characters, most of whom are played by local actors. We are treated to a variety of accents, sometimes several different ones from a single individual. There is a lot of supposedly endearing and humourous banter between Berry and her local staff members, which I just found patronising and offensive. Halle Berry’s character, Kate, freedives with white sharks. After causing the death of her safety diver (he was eaten), she retires from shark diving and takes people on boat tours to Boulders Beach to look at penguins and to Seal Island to look at seals. She can do this all in one short trip because Boulders is on the way to Seal Island when you sail out of Simon’s Town. Right? Right! (Another interesting fact I didn’t know about the geography of False Bay is that Seal Island is a 20 minute surface swim from Miller’s Point. The abalone poachers apparently do it often, but have a “less than 50% chance” of making it back.) It was fun to see Simon’s Town on film, and to identify that Kate’s office is actually the clubhouse for the kids’ dabchick sailing school at FBYC. A wealthy man of indeterminate nationality wants to swim with white sharks outside a cage. Kate is tricked (sort of) into taking him to do so. At seal island they see a couple of sharks, but the millionaire cannot follow instructions (“stay in the cage”) and Kate discovers that her boyfriend promised him a cageless dive without consulting her. After an INORDINATE amount of shouting and screaming on the boat, Kate loses her rag and decides to take the millionaire “around the point” to “Shark Alley” where the really big great white sharks can be found, to teach him a lesson. 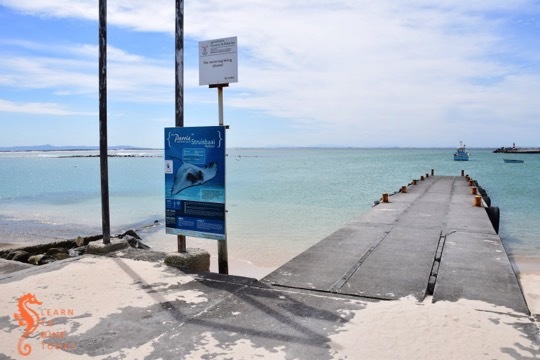 (Readers unfamiliar with Cape Town should know that there is a place here called Shark Alley, but it’s inside False Bay and no white sharks are found there… Only sevengill cowsharks.) Despite the worsening weather they make the trip, and at this point the movie becomes a cross between The Perfect Storm and Jaws. There is a lot more shouting on the boat. Lots of people get eaten by sharks. No doubt the NSRI is called. Not many of the characters make it home. To sum up, several people die in extremely violent and gory shark attacks. The blame for all of the deaths can be laid at Berry’s character Kate’s feet. She is immature, has a bad temper, and is incapable of assessing risk. Unfortunately she survives. Some of the shark footage is nice. An alternative title for the film could be “Shouting on a Boat” or “Halle Berry in Small and/or Tight Clothing”. If either of those appeal, by all means, be my guest. I hope the Department of Environmental Affairs, FBYC and STADCO made some nice money out of issuing permits and renting facilities for this film (really). It’s great that local venues are benefiting from the international film industry. SharkLife apparently sponsored a lot of the clothing worn in the film. Their logo was everywhere. I watched the credits with greater attentiveness than I did the rest of the movie, looking for familiar names among the stunt divers, skippers, cameramen and extras who featured. I found some! You can buy the DVD here if you’re in South Africa, otherwise here or here.